Several activists of the ruling party and their supporters from Bujumbura neighborhoods gathered in front of France Embassy to express their dissatisfaction on Saturday, 30 July. The aim of the gathering was the disapproval of “the initiative of Paris accused of being the root cause of the resolution that allows the deployment of 228 police officers and 200 observers in Burundi with a one-year mandate”. Hundreds of members of the ruling party- CNDD-FDD, most of them in sportswear, met at “The Independence Square”. Bus, taxis, “tuk-tuk” as well as motorbike drivers, though banned over the past few months to circulate downtown, were mobilized to transport protesters. Some protesters also threw some clods of earth mixed with some herbs on the embassy of France, an insult in Burundian tradition. Megaphones and other loudspeakers mounted on vans transmitted far the messages. Protesters were invited to repeat these slogans. 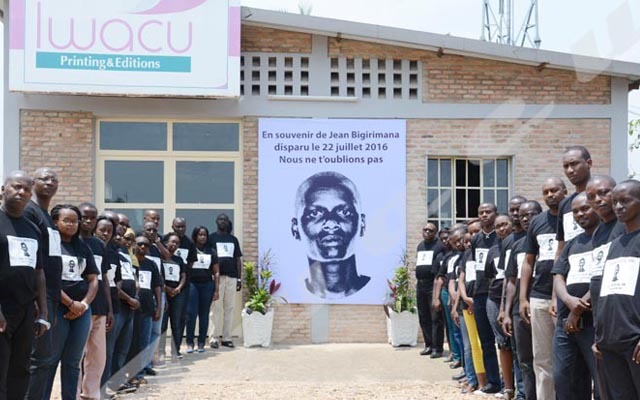 The messages delivered by officials including the Bujumbura City Mayor, Freddy Mbonimpa and the representative of the Interior Ministry, Déo Ruberintwari, were not different from those slogans. Long live the Marshal Pierre Nkurunziza! Demonstrations against the 2303 resolution were also held in front of the Embassy of Rwanda. Protesters stopped to sing with patriotic impetus the national anthem, ‘Burundi Bwacu’. They chanted some slogans against Kigali. They reminded that refugee camps should not be “centers for recruiting and training terrorists who attack Burundi”. Brave, France ambassador to Burundi, Gerrit Van Rossum appeared on the scene and explained to the protesters the importance of the 2303 resolution. According to him, there was some incomprehension because this resolution will help Burundi find a peaceful solution to the current crisis. ‘”We expect cooperation from the government for its implementation,” he wished. He gave some clarification: “This resolution is for the UN and the police officers will be from the United Nations. It’s not troops who come to Burundi. These police observers will have the mission of reporting incidents that may happen in the country. ” To those who say that the genocide of 1994 happened in the presence of French forces, France’s ambassador to Burundi requested to stop comparing Rwanda situation with that of Burundi. Gerrit Van Rossum was shocked by the slogans that said it is France that is more insecure than Burundi. Outraged, that diplomat said that it was indecent and according to him this denotes a lack of sensitivity to attacks that can happen around the world including France. “I’m sorry I have to say that I do not understand it,” said bitterly Ambassador Gerrit Van Rossum.